With the advancements in tech, the mobile app and wearable devices, the ever-growing health and fitness concern has come into a whole new light. The usage of the mobile app is reaching the sky as smartphones have changed people’s lives, adding flexibility to perform regularly to a specific task in much simpler ways. Today, there is an app for most of the thing and this is expanding in every possible industry vertical from Healthcare, E-Commerce, Electronics, Online Shopping, Taxi Booking Services and many more. By introducing Swift language for iOS app development services, Apple has added extra perks for the iPhone application development company. Now, the iOS app developers will not have to make compromise solution. "Swift has finally succeeded to gives the developers in the iOS world the ability to do the things in the scripting world but without any limitation, which means they can write code and can see in the result real time. This programming language has led to a deeper pool to develop health-care apps. HealthKit: It is an excellent app for health-conscious tech-savvy users as it allows to track important health data that measure fitness and health over a period of time. Apart from the benefit of awareness, this app is a great inspiration and motivation source. Apple Researchkit: This app is useful for medical research or for other research projects in the healthcare industry. Apple Carekit: This apps help people better understand and manage their health. Requires Less Code: As Swift requires less coding, which makes development simple and effective in the complexity of coding.hence, it is first preference of most of the programmers as it offers high in performance and also benefits by offering the reuse facility.moreover, it necessary to adopt the latest version to stay updated with the ever-evolving tech world. Less Prone to Errors: The Swift programming language is more secure compared to another programming language.The stability of this language in terms of its syntax, format, language, and compilation makes it less prone to errors and crashes, hence by it improves the quality of the code. Fast: In the course of time swift has managed to survive the test of time and has come up as the fastest programming language. Open source: Swift is open source which allows easy code complications. And it's code is compatible with most of the leading Apple’s platforms like iOS, watchOS, OS X, etc. Secure and easy: Further, establishing a security and easiness in the app for users have always been a challenging task. and when it comes to reliability, Swift is the perfect programming language to steal the limelight. Root Info Solution with Swift app development has already entered the healthcare and fitness industry. 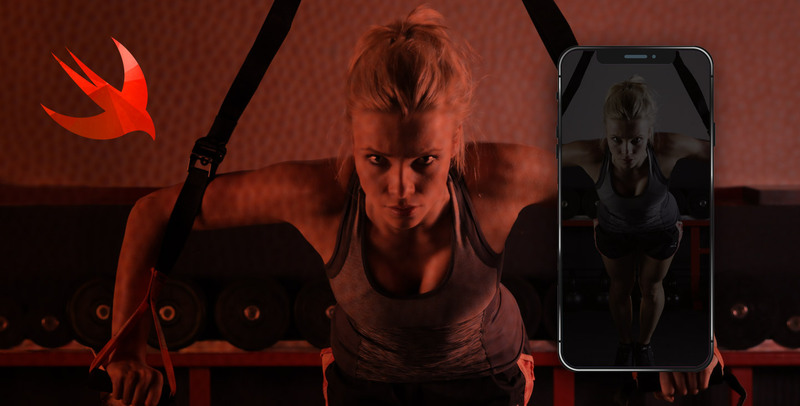 As health is a crucial part of people’s lives, this iPhone app development company aim to introduce more user-friendly, secure and easy to use fitness apps and wearable devices.